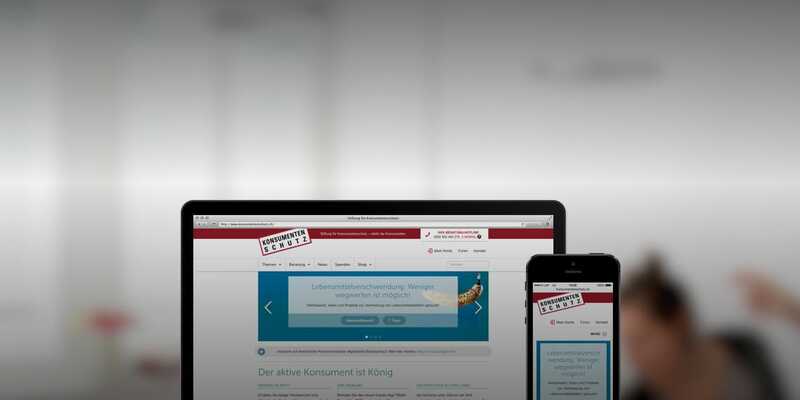 The Consumer Protection Foundation asked Liip to give the SKS website a face lift. Using CMS Wordpress Liip developed a tailor-made, mobile-accessible website. For years, the SKS has kept consumers up to date on issues such as product safety, unfair competition, and nutrition. It had a clear wish list in terms of the content of its new website. The main focus was on statistically categorised content. Liip completely re-designed the website and added several brand new features. Visitors can now directly retrieve information, news, blog entries, and statistical content from the site, as well as access a consumers’ forum. Liip developed several new features for the SKS website. Among these was a newsletter connection to Mailchimp. The SKS can now directly launch petitions and collect signatures online. In addition, a blog and news aggregator were developed which displays the latest news according to topic. Based on the results of its usability analysis, Liip developed a brand-new design for the website, as well as optimising it for mobile devices. The website was built using CMS WordPress, which ensures the highest degree of user friendliness. WordPress also comes with functionalities such as CMS, shopping cart, forum and user administration. Another advantage of this solution is its flexibility in terms of templates, features and adjustments. Woocommerce was used to create the online shop.